By the time Napoleon started the Empire he was in control of tons of land and influence in Europe. His empire held power over 44 million people in land that included Germany, Italy, Spain, and the Duchy of Warsaw. Everywhere he went he tried to spread the ideas of the French Revolution and take the privileges away from the nobles, establishing French culture. Because of this the regular people loved him, believing he had chosen them over the ancien régime ideas. He openly called himself an Enlightened Despot, but in reality he would change his beliefs whenever he thought it would help him. His liberal policies included public education, freeing the Jew, and creating a liberal legal system, while his conservative policies included rejecting democracy and the freedom of the press. He also made very similar moves to the monarchs he fought when he had his family members marry into the royal families around Europe to create allies in those countries. religion since he had one civil marriage and one religious marriage, only doing the religious one for political purposes. He would show religious tolerance at times, trying to treat Muslims well in Egypt, emancipating the Jews and mediating disputes between Protestants and Catholics, but he also attacked the Catholic Church and the Pope often. His Concordat of 1801 allowed the Catholic Church to return to France, but was done in an attempt to have a certain degree of control over the Pope. At the same time he was doing that he was quoted saying that you don’t fight the Priest, you use him to your benefit. His later Articles Organiques (1802) would make him the legal protector of the Papacy (Pope), like Charlemagne before him. This was officially done to supervise religious leaders so that the violence stopped, but it gave him a great deal of power over the religion too. The reforms done during his reign would make a number of key changes that are often viewed as having started modern Europe. Within France he would create an institution for higher education, a tax code, road and sewer systems and a central bank. He made the highly unpopular decision to force the use of the metric system (1799), which would become very popular later because he implemented it in all French dominated areas. The Legion of Honor was created to encourage civilian military achievements, and is still the highest decoration someone can get in France. The decision to reorganize the Holy Roman Empire into the 40 state Confederation of the Rhine would also provide the basis for the unification of Germany (1871). 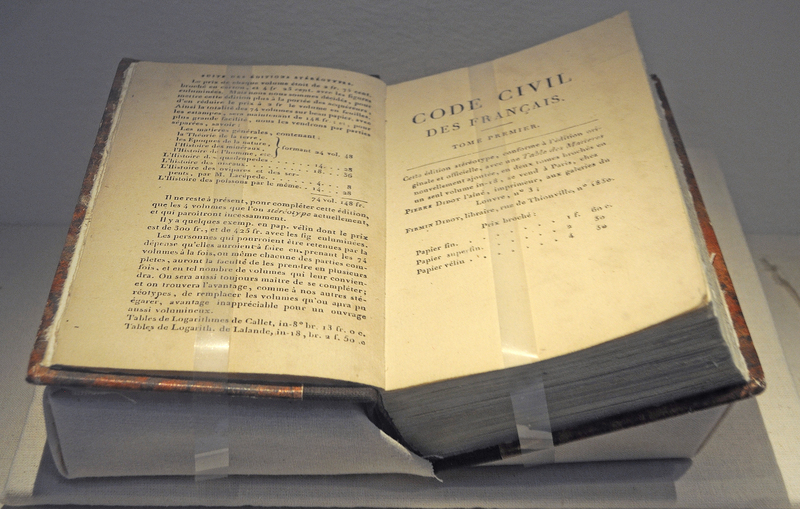 The most important historical change that Napoleon made was the creation of the French Civil Code that would be referred to in history as the Napoleonic Code (1804).He brought in legal experts to create a code that was less confusing and contradictory and make sure it was written the way people actually spoke in France (vernacular). It would allow freedom of religion and create a meritocracy where nobility didn’t matter, but also gave men (and kids) power over women. This was the first modern legal code to be adopted across Europe, due to the conquest of Napoleon. It is the basis for the legal code of a quarter of the world to this day.